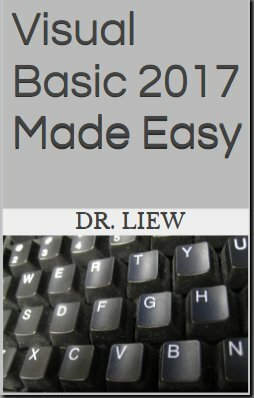 Visual Basic 2010 Made EaEasy is an eBook written by the webmaster of our Visual Basic 2010 Tutorial, Dr.Liew. 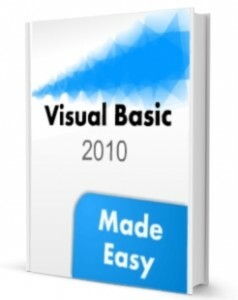 With more than 200 pages of contents, it complements our free online tutorial by providing a complete tutorial for beginners. Get programming ideas from many interesting sample programs. Modify the codes easily to suit your needs. Learn how to package and distribute your applications.